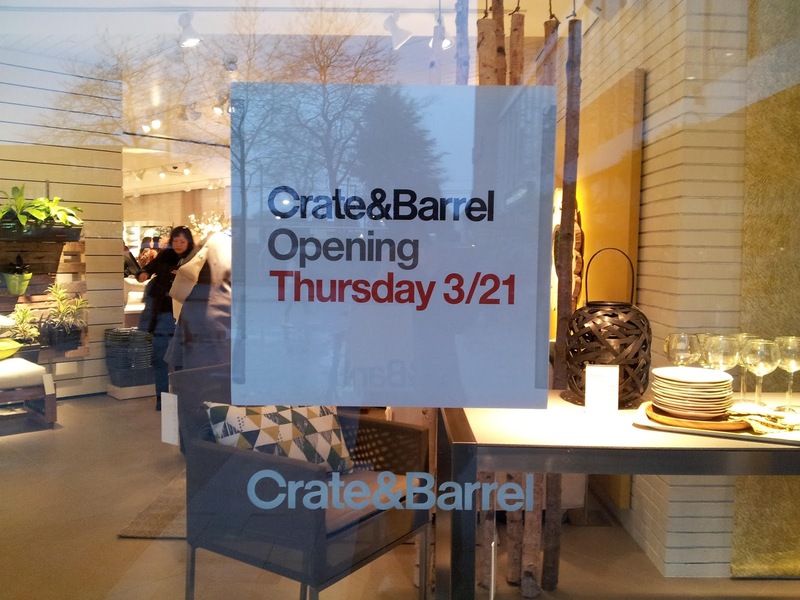 The newest addition to Oakridge Centre is the trendy home furnishing store, Crate & Barrel. So many people went to check out the store a day before the grand opening day; it was packed! It is a really big store, not too surprising as the space use to be a movie theatre. Once can meander around and look at things for quite a while! These are some of my favouite things I saw in store. These salt and pepper shakers are SO CUTE. Fat birds. So fat and cute. This snow cone maker also caught my eye. A trio of artichoke candles! Hawksworth Restaurant provided the food and drink during the evening. It was hard to take any photos since every time a food tray came out, it got swarmed! There were groups of people camped out at all the exits waiting for the next one to arrive. Hahah. Long lines formed as CB staff started to hand out swag bags! Inside were cheese tools and markers from Crate & Barrel, a Western Living magazine and a 15% off coupon! Wow! Crate & Barrel officially opens today, Thursday, March 21st, 2013! They is also giving away $50 shop cards to the first 25 people to visit their new Oakridge Centre store each day from the 21st to 24th! What are you waiting for? Go pay them a visit! Artwork - "A Place For Me"